I was inspired recently to help my fellow teachers with an issue they were having. The schedule for our curriculum is restricting and there is just no time for reteaching or absent students. Plus, all of these snow days have taken 8 days from this quarter! Introducing my line of Independent Computer Center pages. 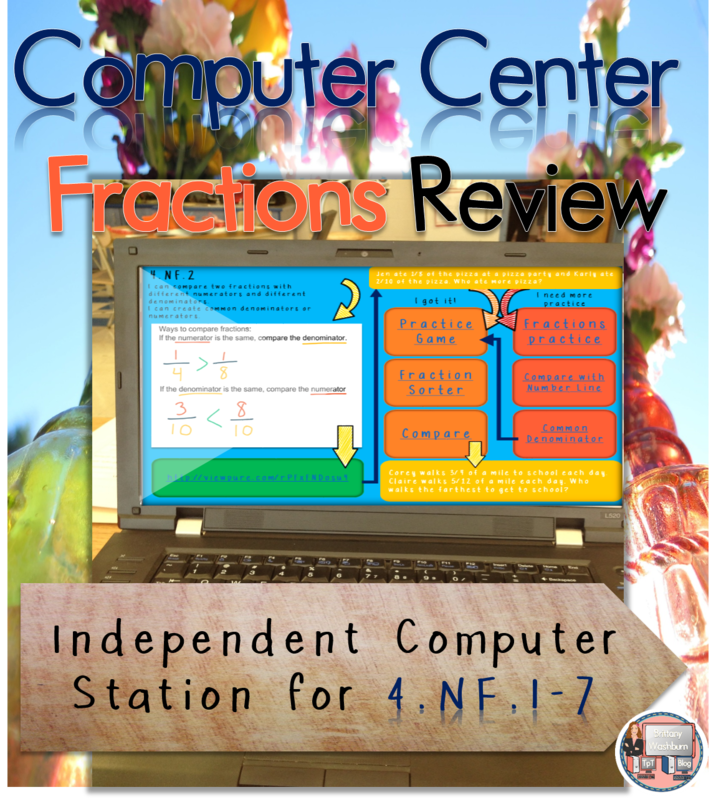 Did your student miss your lesson on 4.NF.1? I have a file for that. Did your student just totally not "get" 4.NF.1? 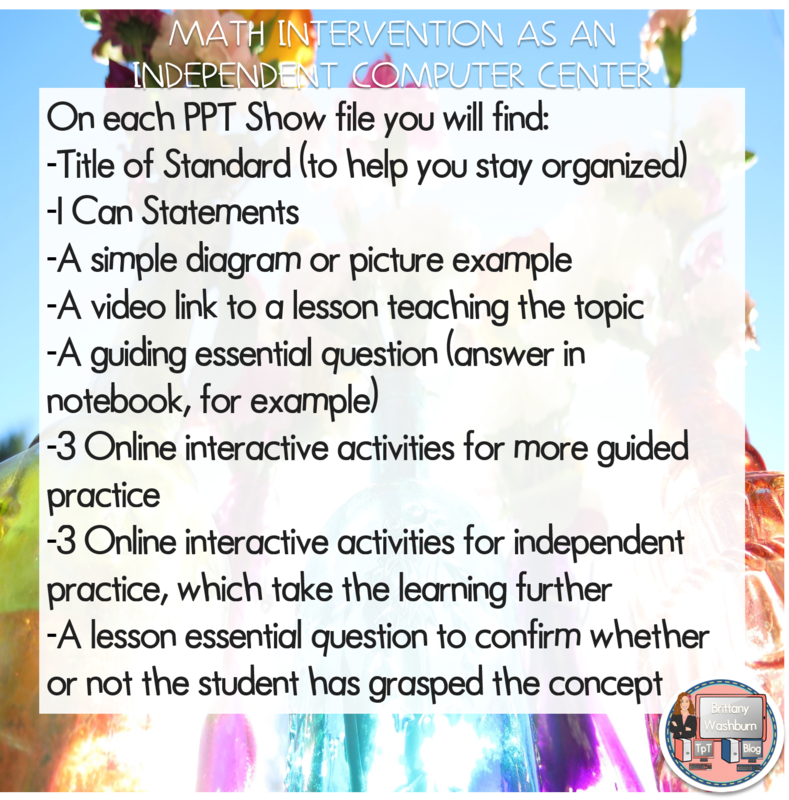 Use this file for teaching and reteaching in a way that doesn't require your time! All you need is one computer per student (the computer does need to have Microsoft PowerPoint on it, as the file opens as a PPT Show). Click here to read the rest of this blog post. 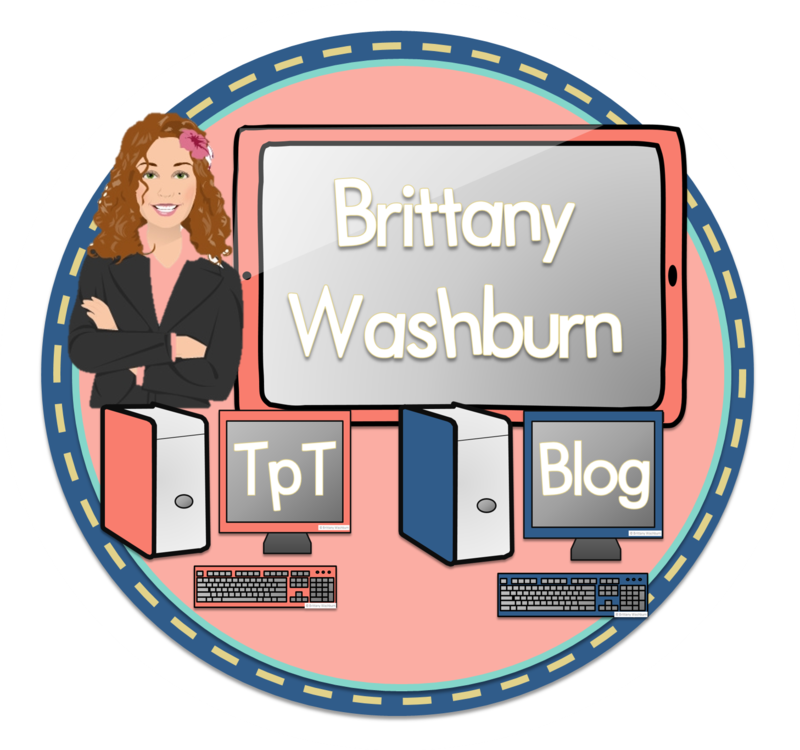 You will see the product preview and learn how I implement it in my classroom.